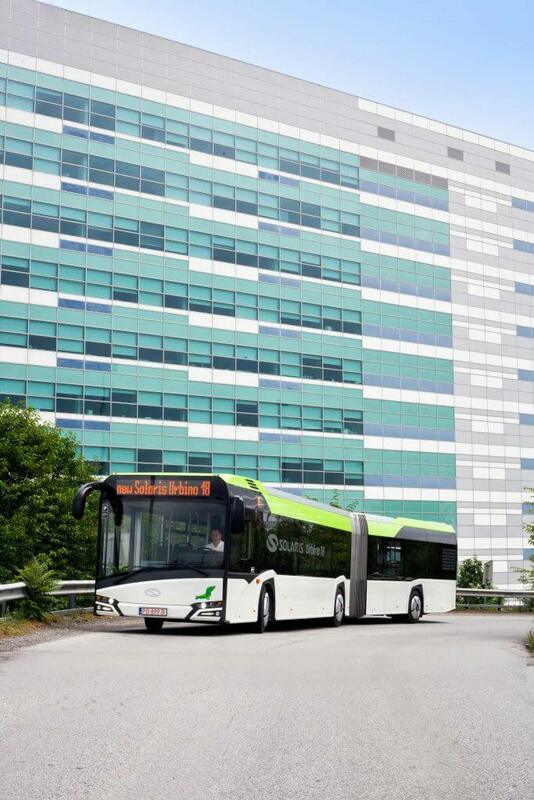 Solaris Bus & Coach has secured a contract from Rīgas Satiksme in Riga to supply 88 Urbono 18 articulated buses. It is an extension of a framework agreement concluded in 2013 with the operator taking advantage of the option to increase the original order. The first 10 buses will be on the streets of the Latvian capital next year with the remainder entering service in 2020. The multi-annual framework agreement concluded in 2013, for the supply of 175 Solaris buses to Riga, assumed the implementation of contractual obligations starting in 2014. So far, the producer has delivered 140 diesel engine vehicles to the operator. However, the new contract means it has decided in favour of the optional right to increase its order from five years ago by 53 vehicles. The total value is around €35m. All of the latest Urbino 18s, which are 18m long and air-conditioned, will be powered by 250kW 10.8litre diesel engines driving through automatic transmission. Up to 150 passengers can be carried at any one time, protected by a 10-camera CCTV system. The buses have USB ports for recharging and are equipped with ITC systems that include four communication channels (GSM, WiFi, Tetra and GPRS). Apart from displaying standard messages, the driver will be given information about the pressure and temperature of the tyres, among other vehicle monitoring details. Solaris has delivered 528 vehicles to Latvia, 455 of which have made their way to Riga. One of the orders currently implemented involves the supply of 10 trolleybuses with batteries and an additional fuel cell, for driving beyond the overhead traction lines. These are not the only orders secured by Solaris in Baltic states. The producer is just about to complete the delivery of 150 buses with diesel engines to Vilnius and the supply of another 41 trolleybuses, to the capital of Lithuania, is currently under way. A contract has also been signed for the delivery of 85 trolleybuses to Kaunas in 2019.